Sound: N/A, since this is a case Feature: VERY STACKABLE. Ease of Use: N/A Quality: High quality and good looks. Should last a long time. Nice cosmetically, very sleek, everything fits and functions fine. Value: Is this good value? It is much lighter than my old plywood and felt cases (and lighter than the old shallow 3 rack space SKB I was using before), but not as Eco-friendly. I think it could be priced a little lower, but I got mine on sale, so I can't complain too much. Manufacturer Support: I have not had to deal wit the manufacturers so far. The Wow Factor: Very pretty and seems to be able to keep looking good after transporting to and from gigs. My old case was looking pretty threadbare, this one is shiny and doesn't scuff as easily. Steel components are higher quality than the old SKB as well, even though I like my old SKB and it served me well. 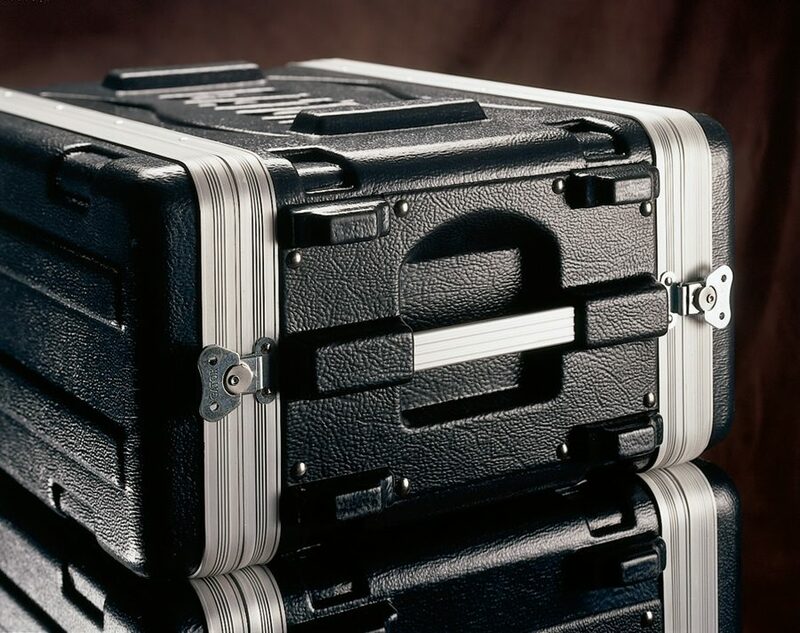 Overall: I use mine to house 2 mic preamps, an ART Pro MPA2 (2 rack spaces) and an MXL MPAC 1 (1 rack space) I think this is quite a bit nicer than the 10 year old SKB roto-case I had been using. Its lighter by far, even though it is larger, and it is less prone to scuffing so its good looks should last longer. I read one complaint about not enough rack screws, but I had enough to mount 2 units (they were already in the rack) before I even undid the plastic bag that contained the other 8. Mathematically, 16 screws is ALL you would ever need, and they come with nice rubber washers. This thing looks SO MUCH BETTER than the usual textured plastic, and presentation is important for a musician in some cases (no pun intended). Latches are solid and easy to open. The rubber handles are comfortable and strong. No shock mounting---shock mounted cases cost more. 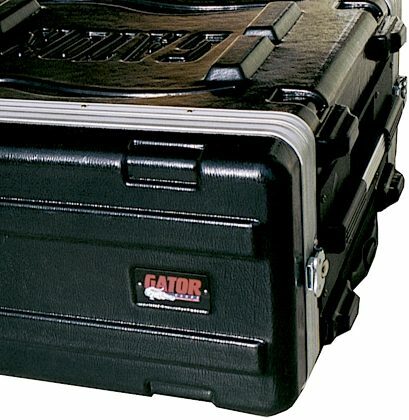 Still, it should protect the gear if it gets dropped since there is enough room between the case and the devices it houses. I'm happy with mine. 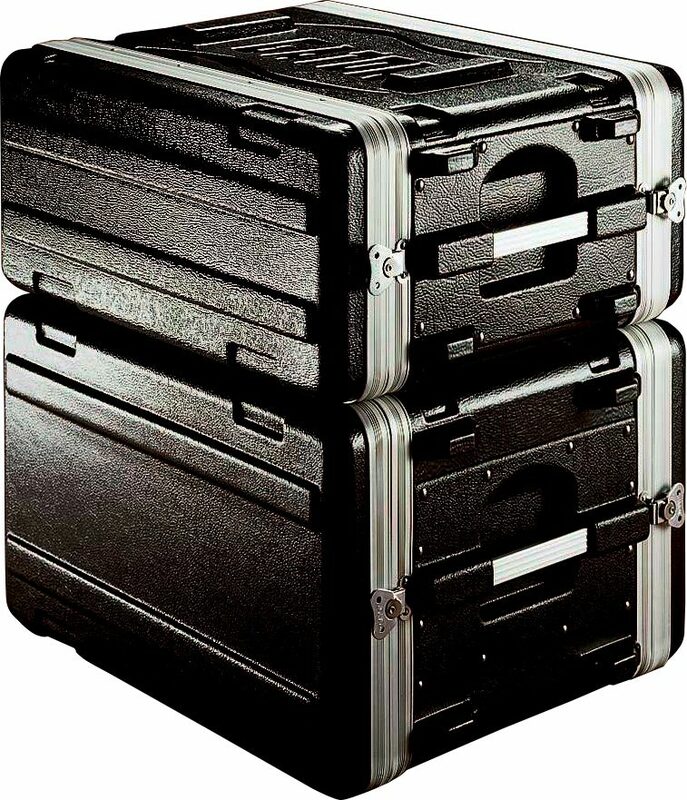 I kind of wish I'd gotten the SHALLOW model (designated by an S) but looking on the bright side this way I have enough room to transport cables, mics and headphones in one enclosure. 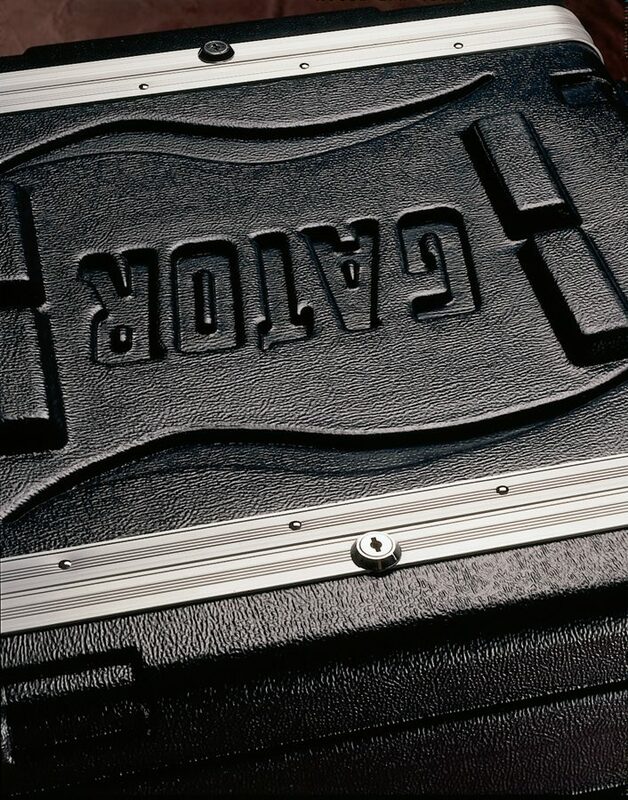 Sound: N/A Feature: I would like to see the clamps on the lids rather than on the case. That would make more sense to me. Ease of Use: Everything I have mounted in it has fit just fine. The locks are nice also, just don't lose the keys! Quality: I have had the 4 space rack for about 5 years and put it through a lot and never had a problem with it. Value: Why pay more for something with a "better" name on it. Manufacturer Support: N/A The Wow Factor: In the future I will probably buy another one, as my equipment grows I will need a bigger one or just get another 4 space. Like I said before, why pay more for a name. Overall: I will have this thing until the day I retire from playing music!!! !